FREE SHIPPING on all TO-DO Lists! Gain exclusive access to private content from high-value contributors, including MJ DeMarco, the author of The Millionaire Fastlane. Without the public's prying eyes, INSIDE content is often more actionable, informative and disruptive. Due to privacy and limited viewership, contributors are more willing to divulge advice, tips, and "secrets" as all INSIDE content is not indexed by Google or any other search engine. This fosters a more contributory and open communication environment. That thread is over 21 pages long with over 250 posts. On page 16, post #204 is some of the best business advice you ever heard. Will you remember? Probably not— unless you're an INSIDER. Never again read a legendary post from someone and not remember where you saw it. 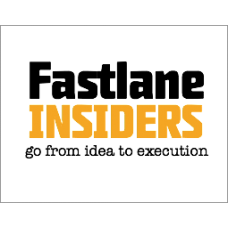 INSIDERS can bookmark and catalog their favorite posts in one convenient location for easy retrieval. Never forget a crucial Fastlane detail again! Exclusive Private Access to "INEs" - Ideas Needing Execution. Fastlaners focus on ONE idea. And with focus, they have to forfeit a bunch of other great ideas. INEs are posted by other Fastlane Insiders who have a great idea, but simply won't execute it due to other priorities. If you're in an idea stage, an INE could be your launching point into your Fastlane. Every month a book of Fastlane relevancy is given away to one INSIDER (or more dependent availability) based on either a random drawing, or a value contribution. The more you visit, the better your chances at building your Fastlane library, for FREE. Remove Most of Those Darn Ads! The best "process" threads are on the INSIDE. This is where you get a first-row seat to the trials and tribulations of real entrepreneurs AS THEY HAPPEN. For example, one of our users "had a great idea" and stuck with it for over 3 years. Ultimately, he ended up on Shark Tank. Process threads are sneak peaks into the hardest thing about entrepreneurship... EXECUTION. Every so often INSIDERS provide FREE, educational conference calls. In the past, topics have ranged from raising money to effective Facebook advertising to effective outsourcing on eLance. These are not available to the public, available on any PODCAST channel, or available to regular forum users. Make a statement. Say nothing. 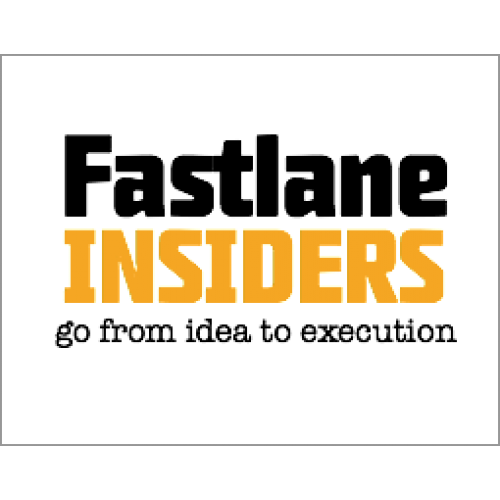 It doesn't matter— INSIDERS get to do it. OK, I don't mean to imply that it's cool to hang out with me. However, I do give priority attention to INSIDERS and their posts. These are the posts I read first, and likely will respond to. I pay less attention to the public posts as they usually are more "idea" oriented while the INSIDE content is more "action" oriented. The same goes for our most prized contributors: Inside content is simply given more priority! Yup, you'll be hob-nobbing with the DOERS of Fastlane! The public forum has more noise and unfortunately, is more introductory in nature. The INSIDE threads are for the more seasoned, active entrepreneur who is most likely out of the idea phase and is now in execution mode. Exclusive Private Content.Gain exclusive access to private content from high-value contributors..
Viperion Corporation publishes the international best-selling book, The Millionaire Fastlane by MJ DeMarco. Released in 2011, the book has generated over $1M in sales and has been translated in multiple languages. Another book is due to be released in 2016. Copyright © 2019 Viperion Corporation, All Rights Reserved.